"With good-natured wit, Parks demystifies the process of getting glasses, also paying attention to the embarrassment and self-consciousness kids often feel when they show up at school with a new pair of specs. Although not the most amusing book in the series, fans will be happy to know that despite Junie B. 's ascent to the rigors of first grade, Park's feisty, funny heroine retains her trademark use of language, mirthful malapropisms, and essential larger-than-life personality. 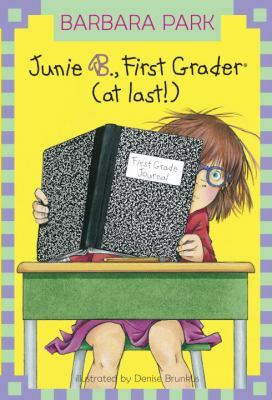 "Barbara Park is the author of 'Junie B., First Grader (at Last!) (Junie B. Jones, No. 18)', published 2002 under ISBN 9780375815164 and ISBN 0375815163. Loading marketplace prices 90 copies from $0.01 How does the rental process work?